An injury, fall, or serious accident can lead to lacerations. If untreated, both shallow and deep lacerations can lead to loss of blood, infections, and scarring. It is important for people to seek urgent medical help to stitch up the laceration and to stem the blood flow. 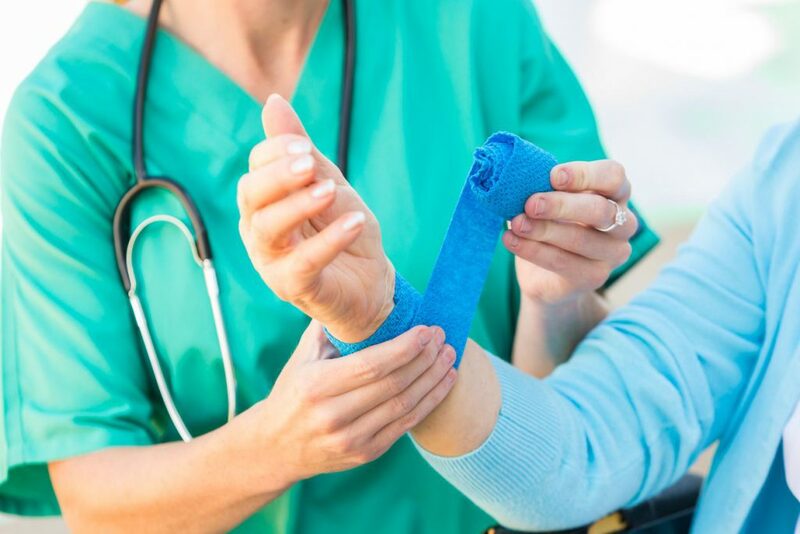 The team at the American Urgent Care Clinic has considerable experience treating lacerations and other accident-related wounds. Contact our team of qualified medical professionals for immediate assistance. Feel free to walk in to our clinic in Tarzana for immediate care. Need Urgent Care for a Laceration wound? Has your child taken a spill and cut himself? If so, please visit the American Urgent Care Clinic in Tarzana for urgent care. The highly skilled doctors at our clinic have experience working with children of all age groups and you can be sure that your child will receive immediate and timely care. We understand how scary it is for parents, to see their child hurt and in pain. If the services of a specialist are what you seek during these circumstances, our medical team, is the one you need to approach. Our team of physicians have over a decade's experience working in the field of urgent care. They have worked in numerous ER departments over their long medical careers. Our Medical Director, Dr. Robert Newman, has worked with people of all ages. His sensitivity to the needs of his patients, his sunny disposition, his sense of humor and his laser beam focus are some of the traits that make him a favorite with both the patients and their families. You can be sure that your child is completely safe under his care. Dr. Newman and his team will examine your laceration to identify the cause and the severity of the injury. They will then create a personalized treatment plan suited to your medical requirements. From consultation to post-treatment care, you can rely on the team at the American Urgent Care Clinic for comprehensive and timely help and support. Dr. Newman is an expert in suture removal and dressing. With him at your side, you never need to worry about ungainly scars or stretch marks. His extensive experience in laceration repairs equips him with the ability to provide quality treatment. Lacerations can develop infections if not taken care of carefully. Our medical staff will advise you on how to care for your repaired laceration. Our doctors are compassionate and empathetic individuals and understand the stress you might be under post-injury. You can trust Dr. Newman and his team of doctors and nurses to provide you the superior quality care and support you deserve. At our urgent care center in Tarzana, your well-being is our number one priority. Our clinic is fully equipped to handle lacerations and accident-related wounds of varying degrees. Whether you require a simple re-dressing or a full-fledged work-up, you can count on us to provide you the timely medical attention you need. Feel free to contact our clinic to find out more about our services. You can also walk in during our hours of operation and get prompt medical attention. No appointment is necessary.